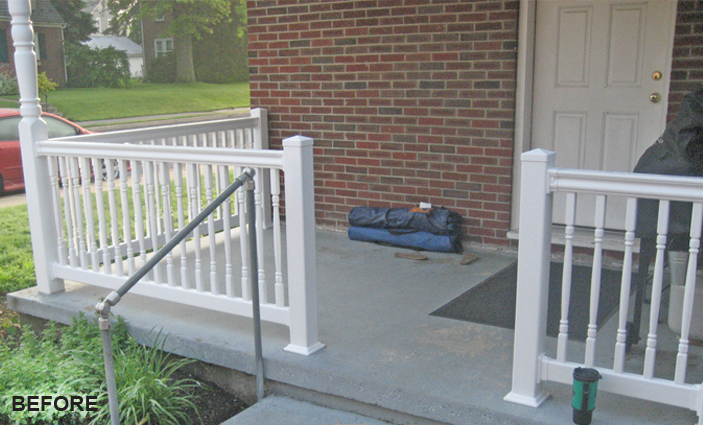 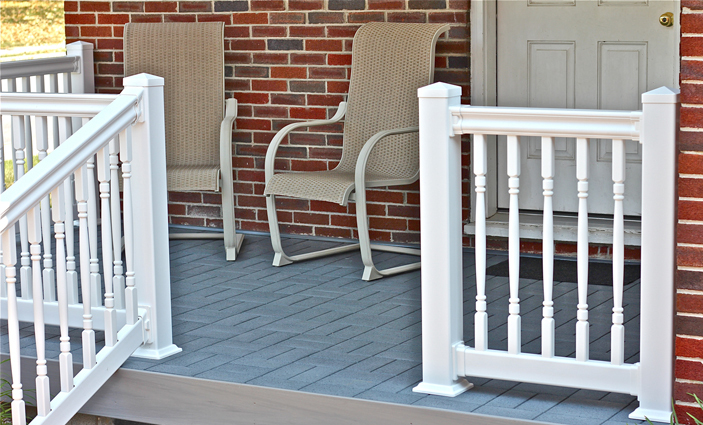 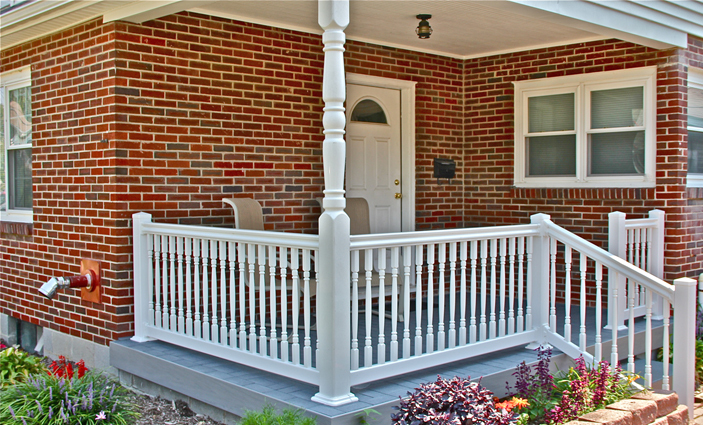 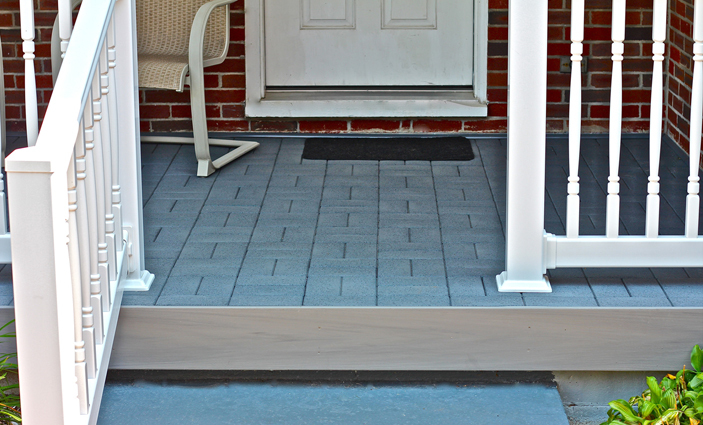 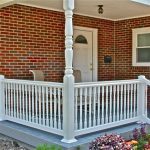 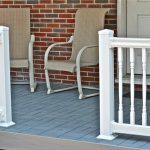 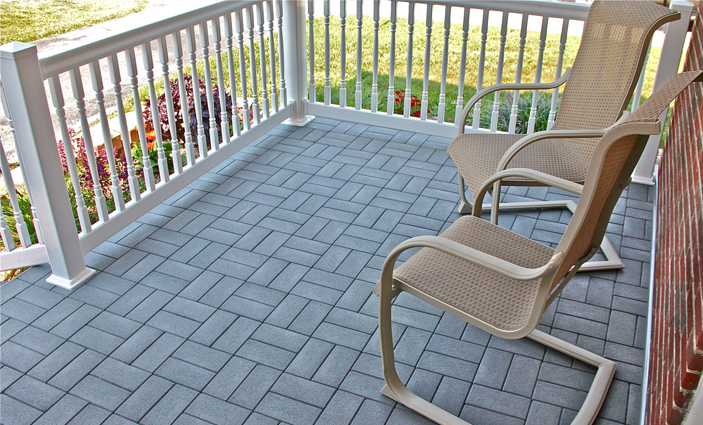 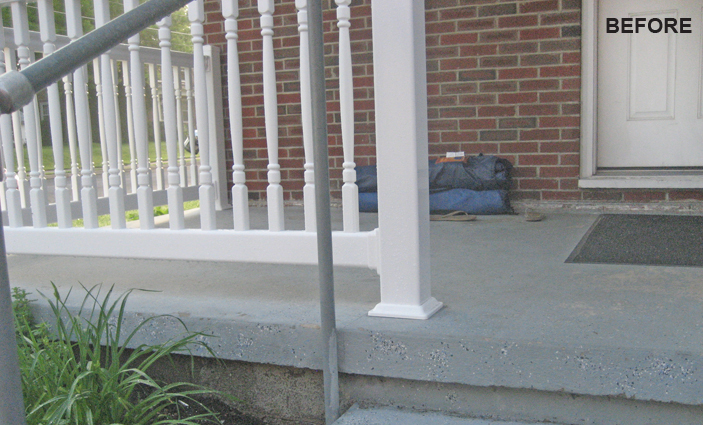 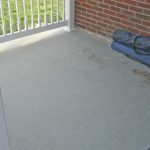 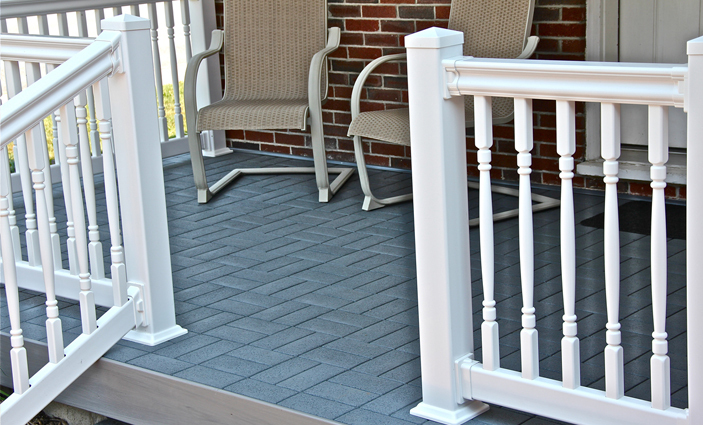 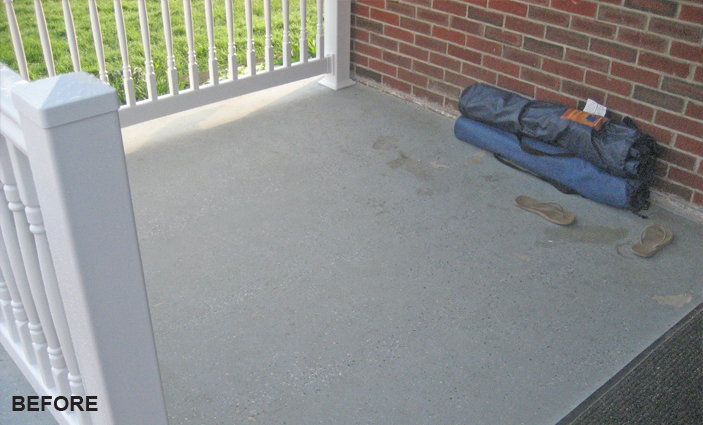 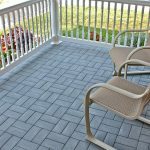 This homeowner was trying to find the right solution to spruce up the look of his aging porch floor. 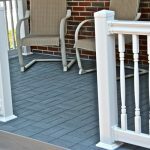 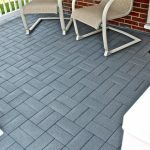 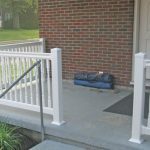 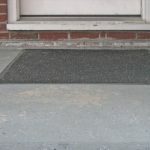 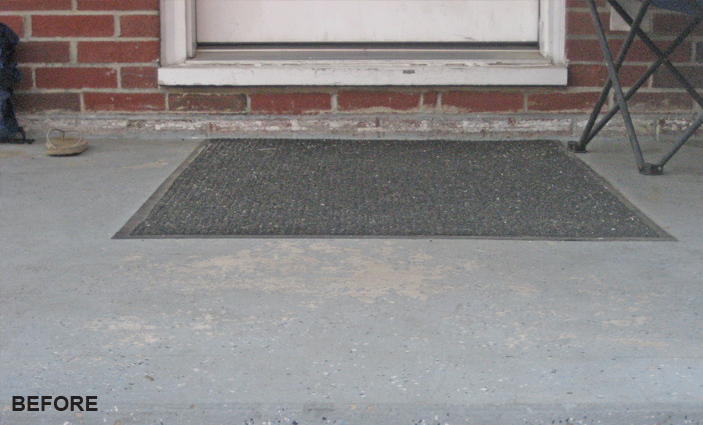 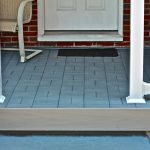 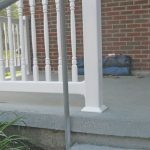 We provided the solution by installing (with very little fuss and mess) an eye-catching porch floor covered with Azek Vast Pavers. 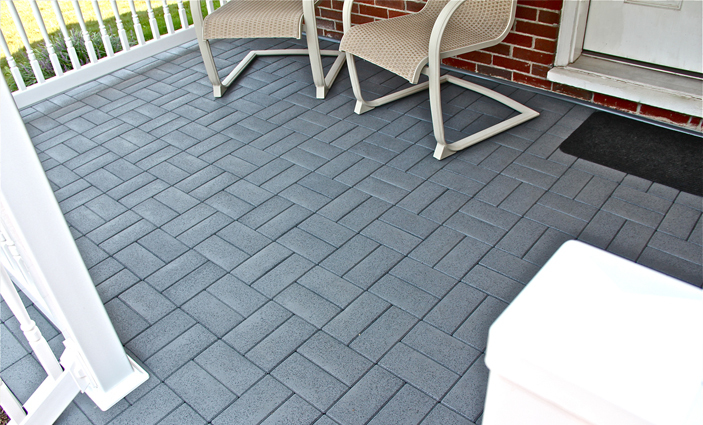 As a bonus, this product is made completely of recycled material.